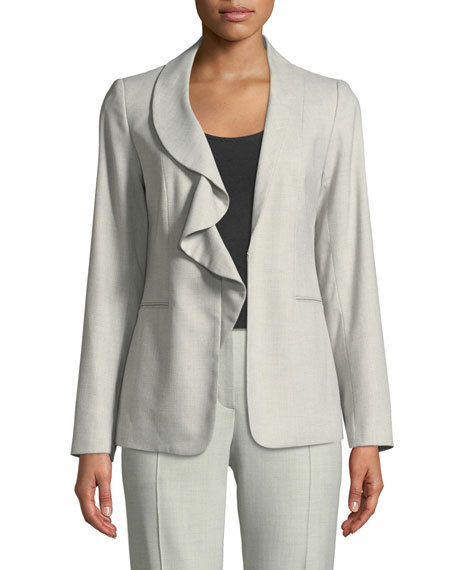 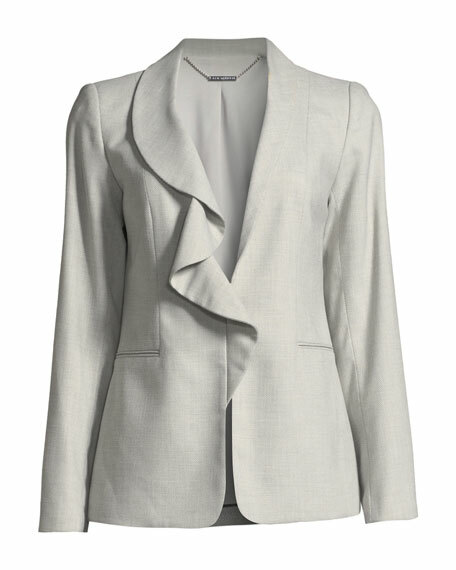 Elie Tahari "Siyah" crepe jacket with ruffle detail. 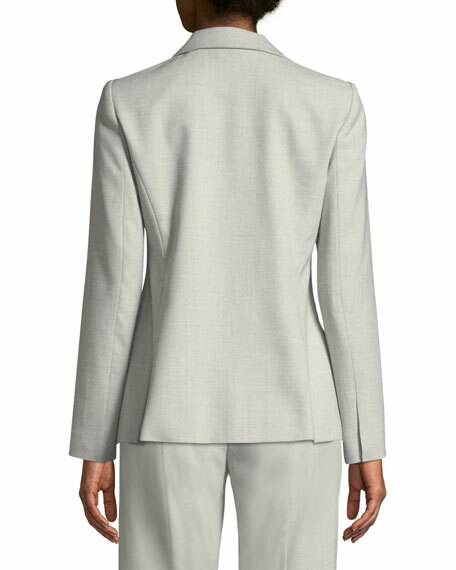 Asymmetric spread collar; hidden hook front. 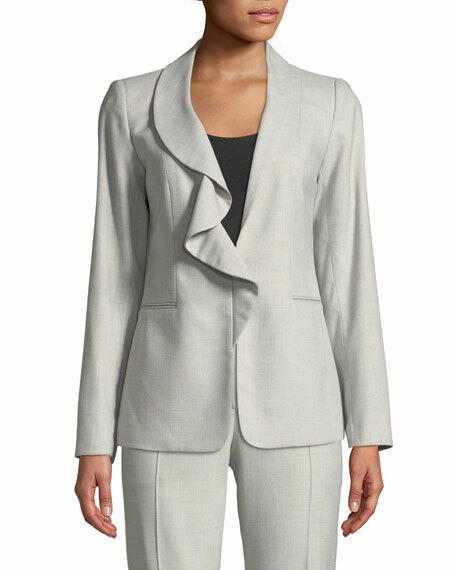 For in-store inquiries, use sku #2461769.